Heat oven to 400°F. Place paper baking cup in each of 14 regular-size muffin cups; spray paper cups with cooking spray (without flour). In small bowl, mix all flours, the baking powder, baking soda, xanthan gum and salt; set aside. In medium bowl, beat eggs, milk, oil, granulated sugar, vinegar and vanilla until well blended. Add flour mixture; stir until dry ingredients are moistened. Stir in apricots. 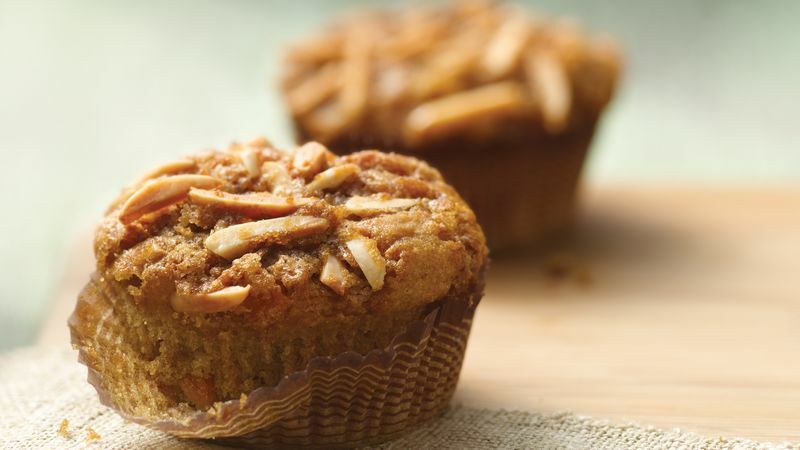 Divide evenly among muffin cups, filling each until batter is 1/2 inch from top of paper baking cup. In another small bowl, mix topping ingredients until crumbly. Sprinkle evenly over batter in cups. Bake 25 to 30 minutes or until tops of muffins spring back when touched lightly in center. Cool 10 minutes; remove from pans to cooling racks. Carefully remove paper baking cups.